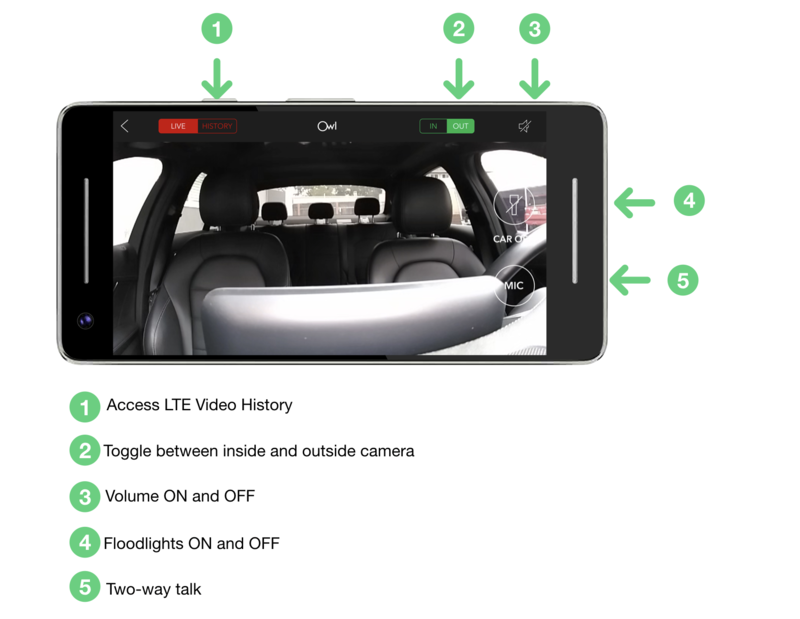 Live View your car from anywhere you have a reliable 4G LTE network connection on both your phone and Owl Car Cam. 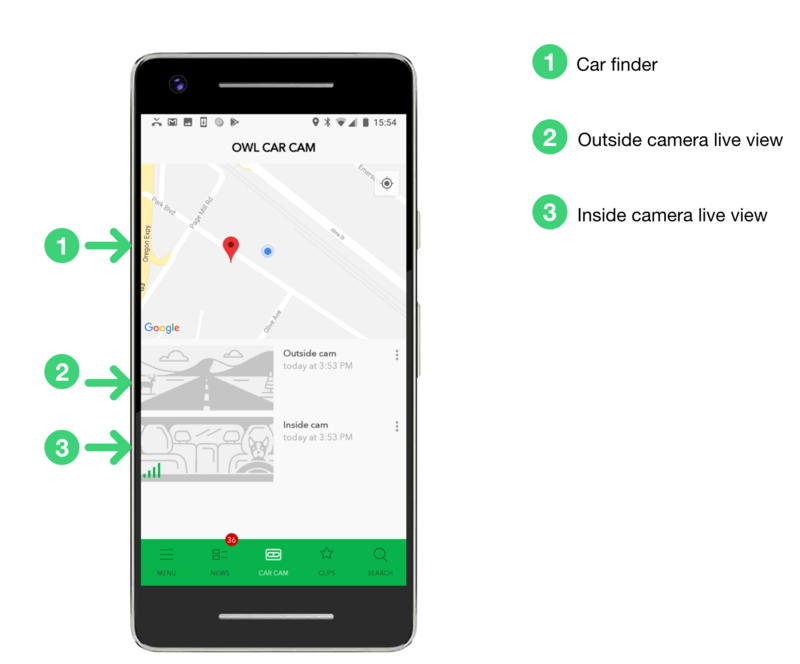 Open the Owl Car Cam app and tap “CAR CAM” then select Outside cam or Inside cam to start Live View. Once you begin to Live View you will have the option to switch between cameras. Press and hold “MIC” to activate two-way talk and speak to anyone in your car.